Garmin's visual approach guidance feature is now available on the GTN 650/750 navigators. 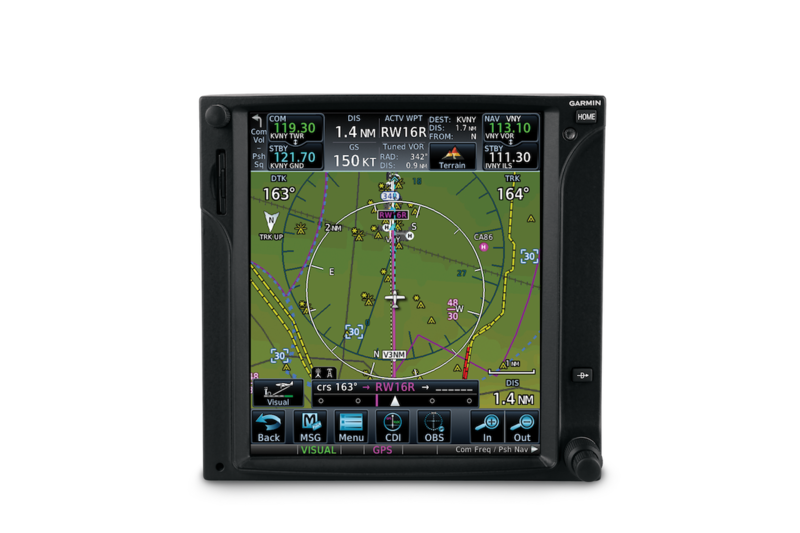 When Garmin released its NXi upgrade of the G1000 integrated flight deck in January, it also announced the new visual approach feature, and that has now been added to the GTN 650/750 touchscreen GPS/com/navigators. Also available on the GTN units are control and display of the GTX 3000 transponder and GTS 8000 TCAS II/ACAS II, and LNAV+V approaches at airports without WAAS/space-based augmentation system (SBAS) service. All of these new features come in a free software update (which may involve dealer installation charges). The visual approach guidance feature adds a new visual approach in the procedure menu, and it provides advisory vertical guidance “based on a published glide path angle or a three-degree glideslope from the threshold of the runway, while considering terrain and obstacle clearance,” according to Garmin. The procedure is designed to help pilots fly a stabilized approach. If the pilot hasn’t already selected the visual approach when nearing a destination airport with a flight plan loaded, the GTN automatically provides a short cut to load and activate the visual approach when the aircraft is within five miles of the airport. With the software upgrade, pilots can receive advisory vertical guidance (LNAV+V) when flying into airports that have no WAAS/SBAS service. “By taking advantage of the advisory glideslope offered by the GTN, pilots can more easily fly a stabilized descent while flying LNAV approaches,” the company said.